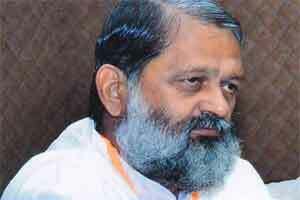 Chandigarh: Haryana Health Minister Anil Vij said that appointment letters have now been issued to 157 doctors who were in the waiting list in the last recruitment. He added that 386 doctors have already joined their duty under this recruitment. Replying to a question raised during the question hour of the ongoing budget session of Haryana Vidhan Sabha here on Thursday, Mr Vij said that these 543 doctors have been posted in Primary Health Centres, Community Health Centres and Civil Hospitals in all the districts of the state. In reply to another question, the Minister said that according to the national standards, blood bank could be opened in those places where blood transfusion for more than 2,000 units take place. On this basis, blood bank has been established in all the districts of the state.